In 100 years of operating in Downtown, Phoenix Day preschool has been a consistent force for good in the lives of children, bringing a forward thinking approach to child care throughout its existence, and offering high quality education to families of every kind. 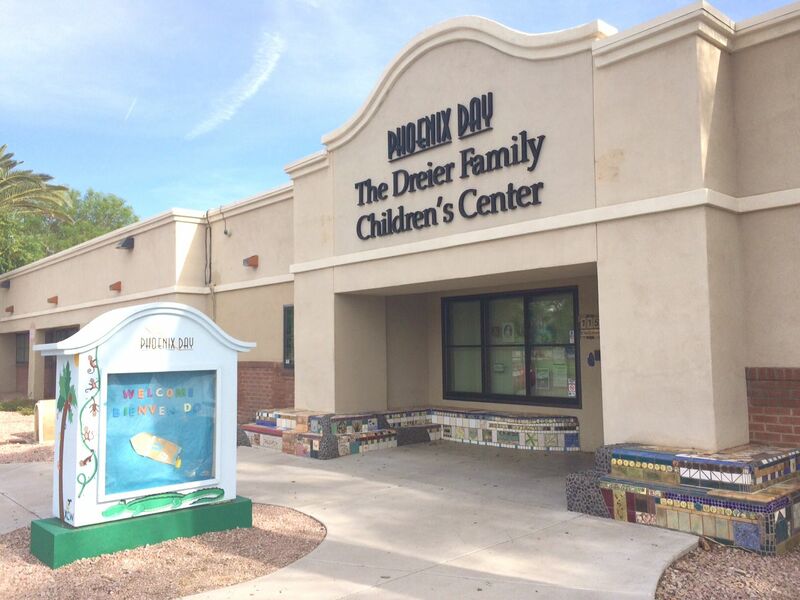 Launched in 1915 to provide childcare for mothers entering the workforce during World War I, Phoenix Day has managed to evolve with, and sometimes ahead of, Phoenix and its parent population. The center offers preschool, toddler, and infant care for working parents, and has done so while serving the needs of its immediate community. “Currently we have 94% of our children beating or exceeding the standards associated with school readiness, by the time they’re ready to enter kindergarten. 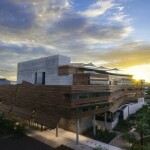 In comparison to … 16% of low income children statewide,” said Karyn Parker, Executive Director of Phoenix Day. Historical photo of Phoenix Day classroom. 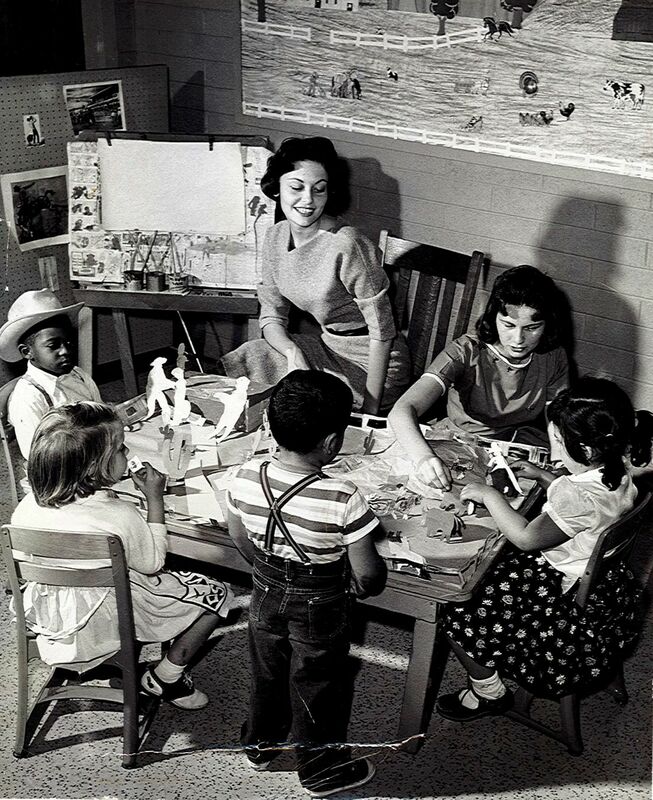 Nearly 30 years before Martin Luther King Jr. visited Arizona State University in 1964, Phoenix Day was enrolling and integrating children of all racial and ethnic backgrounds in 1938. 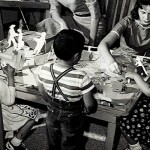 The school shifted to a non-profit organization in 1960, and in the 70s was selected to test the curriculum material for an up and coming television show known as Sesame Street. Former North Phoenix High School graduate and Sesame Street founder Joan Ganz Cooney chose Phoenix Day as the perfect outlet to see how multicultural children reacted to the curriculum Sesame Street planned to use. Not surprisingly, she found that children of all backgrounds were fans. 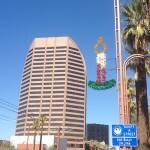 Located just south of the metro Phoenix area on 2nd and Tonto Streets, Phoenix Day saw less of the effects of downtown’s revitalization and more of the effects of the economic downturn. The area offers little access to local grocery stores or organizations like the Boys and Girls Club, and many families lost their childcare vouchers during the economic crisis. 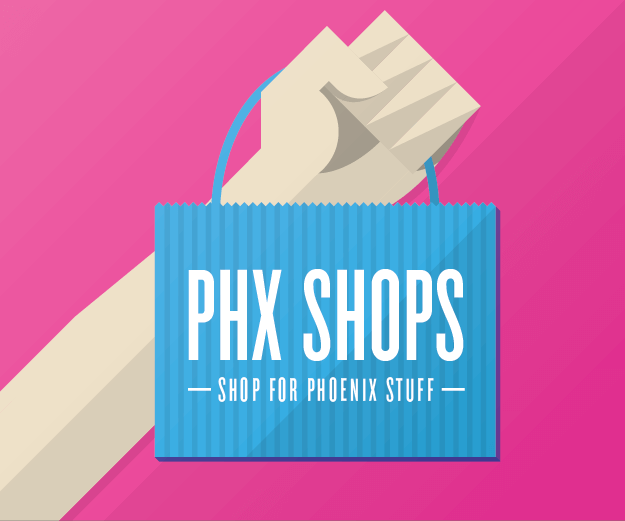 Phoenix Day responded in 2011 by introducing new youth services for the local school-age population that includes after school and summer programs held at Central Park, with the help of local organizations and volunteers. 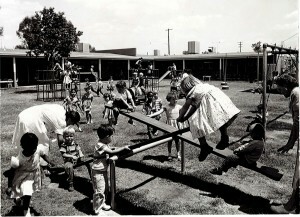 Historical photo of Phoenix Day playground. “As the needs of the families in this community have changed, we’ve changed our programs too,” Parker said, noting that the school offers high quality dual language early childhood education, a health links program that helps families enroll in AHCCCS, among other resources for families. The school even goes as far as offering twice yearly dental exams, and vision and hearing screening to ensure there are no barriers to learning once a child enters kindergarten. All of these programs are aimed at ensuring children are ready to thrive in elementary school, a mission that has helped the school and neighborhood to grow together over the past 100 years. Other than the ongoing goal of offering great programs year in and year out, Parker said she would like to duplicate the school’s success in areas that mimic its current Central Park neighborhood. 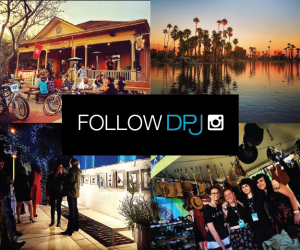 Images courtesy of Phoenix Day.